August 31st, 2015 11:00 PDT– Penticton. The Ministry of Environment, in collaboration with the Interior Health Authority, has ended the Smoky Skies Advisory that was issued on August 23rd for the Okanagan, Similkameen and Fraser Canyon areas. While some wildfires remain active in the region, the weather system that is moving through the Southern Interior, accompanied by rain and high winds, has reduced the amount of smoke and improved air quality. These conditions are expected to continue over the next few days. August 23rd, 2015 15:00 PDT– Penticton. The Ministry of Environment, in collaboration with the Interior Health Authority, is updating the Smoky Skies Advisory issued earlier today to include the entire Okanagan, Similkameen and Fraser Canyon areas due to forest fire smoke that is affecting the region. As of the afternoon of August 22nd, southerly winds have been widely spreading northwards heavy plumes of smoke from the large wildfires burning in Washington State, resulting in high concentrations of fine particulates and poor air quality. While this episode is expected to persist until a major shift in wind patterns and weather conditions, smoke concentrations will vary widely as winds, fire behaviour and temperatures change. Avoid strenuous outdoor activities. If you are experiencing any of the following symptoms, contact your health care provider: difficulty in breathing, chest pain or discomfort, and sudden onset of cough or irritation of airways. Exposure is particularly a concern for infants, the elderly and those who have underlying medical conditions such as diabetes, and lung or heart disease. August 23rd, 2015 8:00 PDT– Penticton. The Ministry of Environment, in collaboration with the Interior Health Authority, has issued a Smoky Skies Advisory for the entire Okanagan areas due to forest fire smoke that is affecting the region. As of the afternoon of August 22nd, southerly winds have been widely spreading northwards heavy plumes of smoke from the large wildfires burning in Washington State, resulting in high concentrations of fine particulates and poor air quality. While this episode is expected to persist until a major shift in wind patterns and weather conditions, smoke concentrations will vary widely as winds, fire behaviour and temperatures change. August 21st, 2015 15:00 PDT– Penticton. The Ministry of Environment, in collaboration with the Interior Health Authority, has ended the Smoky Skies Advisory that was issued on August 19th for the South Okanagan areas. While some wildfires remain active in the region, the weather system that is moving through the Southern Interior has reduced the amount of smoke, resulting in improved air quality. These conditions are expected to continue over the next few days. August 19, 2015 16:00 PDT– Penticton. The Ministry of Environment, in collaboration with the Interior Health Authority, has issued a Smoky Skies Advisory for the South Okanagan areas due to local smoke from forest fires burning in the region. Smoke concentrations will vary widely as winds, fire behaviour and temperatures change. People with heart or lung conditions may be more sensitive to the effects of smoke and should watch for any change in symptoms that may be due to smoke exposure. If any symptoms are noted, affected individuals should take steps to reduce their exposure to smoke and if necessary see their physician. People with symptoms should go to their health care provider, walk in clinic or emergency department depending on severity of symptoms. Use common sense regarding outdoor physical activity – if your breathing becomes difficult or uncomfortable, stop or reduce the activity. Stay cool and drink plenty of fluids.Smoke levels may be lower indoors; however, levels of smoke particles will still be increased. If you stay indoors, be aware of your symptoms. Consider visiting a location like a shopping mall with cooler filtered air. Keep in mind that staying indoors may help you stay cool and provide some relief from the smoke, however many air conditioning systems do not filter the air or improve indoor air quality. Reduce indoor pollution sources such as smoking or burning other materials. You may be able to reduce your exposure to smoke by moving to cleaner air. Conditions can vary dramatically by area and elevation. Residents with asthma or other chronic illness should activate their asthma or personal care plan. Commercially available HEPA (high efficiency particulate air) filters can further reduce poor indoor air quality near the device. For general information about smoke and your health, contact HealthLink BC available toll free, 24 hours a day, 7 days a week at 8-1-1, or via the web at: http://www.healthlinkbc.ca/kbaltindex.asp . Real-time air quality information in B.C. is available at http://www.bcairquality.ca. 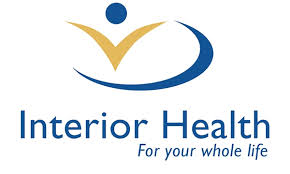 Visit http://www.interiorhealth.ca, click on the Your Environment tab at the top of the page, then Emergency Information → Forest Fire, and under the “During” tab, scroll to Your health and living with smoky skies. During a forest fire, it's also important to be aware of health risks associated with food safety in power outages and water quality. What is a Smoky Skies Advisory? A Smoky Skies Advisory is a new type of public advisory being tested by the Ministry of Environment, in collaboration with the Interior Health Authority, to improve communication on wildfire smoke. It will be issued when smoke concentrations in an area have, or may, reach levels that are of concern for human health. Such decisions are based on satellite information, smoke transport models, photographs of visual air quality, first-hand observations from the area, in addition to concentrations of fine particulate matter recorded at local air quality stations. This differs from the Wildfire Smoke Advisories issued by the Ministry of Environment, which are based primarily on concentrations of fine particulate matter measured over a 24-hour period at fixed monitoring stations in B.C. A Smoky Skies Advisory is a pilot program intended to respond to the rapidly changing nature of wildfire smoke, in which smoke concentrations can vary significantly over short distances and periods of time that may not be well- characterised by the existing air quality monitoring network or responded to in a timely manner by Wildfire Smoke Advisories. Contacts: For media and public questions regarding air quality and this advisory. For media questions regarding health implications of wildfires.